Vitamin C Therapy for Cancer has almost moved from being alternative to standard in the Medical Industry. There are numerous metabolic therapies that are used to treat and fight cancer. The one that is most well known is high doses of intravenous vitamin C. It was found many years ago that one cannot take enough oral vitamin C to achieve the levels necessary to actually effect cancer and also ensure some of the other benefits of high doses of ascorbates in the blood. Vitamin C in an ascorbate and you simply can’t take enough orally to receive the benefits you would from high dose vitamin c therapy. If you tried to supplement orally that amount, you would get diarrhea from it. It actually makes for a great laxative. If you are having trouble moving your bowels just take 5-6 grams of vitamin C orally that night, go to sleep and in the morning you won’t be constipated anymore. What is Ascorbic Acid and why do we need it for cancer? Ascorbic Acid is a compound that is vital to life. We find it in the smallest of organisms to the largest of organisms. 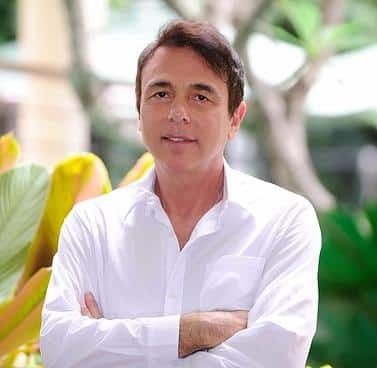 The majority of organisms have the ability to produce it “de novo”, or as needed. There are very few organisms that can’t produce ascorbic acid and those organisms have to get it from their diet, it’s a natural part of their diet. And nature’s very economical, it’s not going to make something that’s already present. That’s just the way nature works. The fruit bat, the guinea pig and primates (humans are primates), which we are members of that group, don’t have the enzyme because we don’t need it. In us, the enzyme is called L-gulonolactone oxidase which changes gulonolactone to ascorbic acid. So we have every other part of that metabolic process except for that last enzyme. We just don’t have it so we can’t make it. So, therefore, it’s necessary for our diet and that’s why it’s called a vitamin. In chemistry, it’s labeled as a reducing compound. A reducing compound is the same thing as what’s popularly known as an antioxidant. 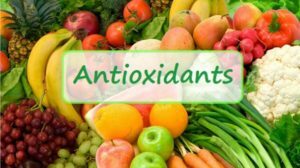 An antioxidant donates electrons. It’s got an extra electron and wherever it finds an electron is whole, it donates it. It’s a pretty amazing process. The reason why it’s essential is that there are lots of situations where molecules that are lacking an extra electron. If an electron is lacking the needed amount and doesn’t receive a donation that is what’s called a free radical. The donating of these electrons actually quenches free radicals. However, when you get vitamin c in higher amounts there is a process, a chemical process known as the Fenton reaction. That’s where ascorbic acid, the electron donor meets either copper or iron and changes it. So it donates an electron to copper or iron which we have abundance in our body. Now when the Fenton reaction takes place, it produces peroxides. Peroxides are normal metabolic intermediates in all sorts of metabolic situations. And all cells have an enzyme called a catalase which easily converts that hydrogen peroxide into water and oxygen which is good for us and that’s what most cells, including our healthy cells, do. Well, it turns out that cancer cells lack that enzyme and they lack a couple other enzymes as well which are really the fundamental reason why we call them metabolic therapies because we can use them and they will be good for the healthy cells and bad for the bad cells or the cancer cells. Cancer cells can not metabolize them and so they die. Cancer cells have defective mitochondria and cannot use oxygen to burn glucose for fuel, which is a very efficient way of doing it and as a result, it’s engaged in anaerobic glycolysis, which is called fermentation. So, it’s fermenting and it doesn’t have antioxidant enzymes anymore as it doesn’t need them. If the cancer cells get put into a position where they have to call on its antioxidant enzymes it can’t do it, and that’s what high dose Vitamin C therapy for cancer does. It uses all these peroxides and the cancer cell cannot produce the enzyme to neutralize it and it dies, and the other cells in our body turn it into water and oxygen and it’s good for them. So it’s good for the good guys and bad for the bad guys. 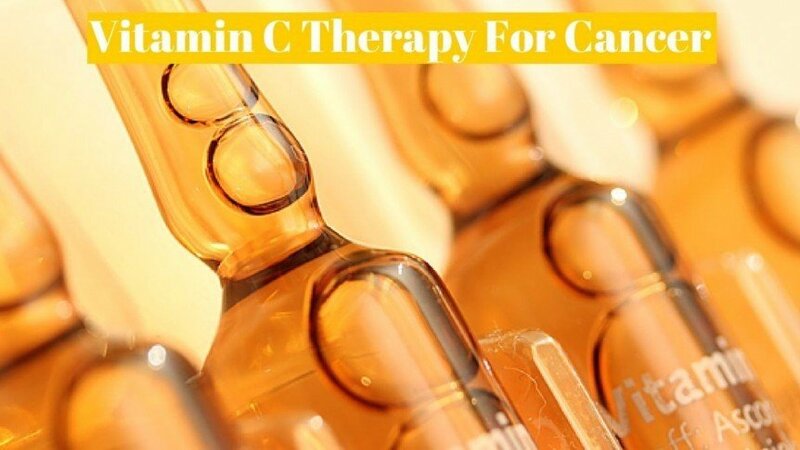 The other thing that high dose vitamin c therapy for cancer does is down-regulate certain transcription factors and stimulates apoptosis, which helps takes away the cancer cells ability to be cancer. And it also suppresses the chronic inflammatory response, NFKB. It’s a very well known central molecule in the whole inflammatory cascade and chronic inflammation is what underlies almost every degenerative disease that we can think of, including cancer. Vitamin C therapy down-regulates the chronic inflammatory response. Now one last thing, there are about 91,000 publications on PubMed regarding intravenous vitamin C and it’s effect on cancer. So if anyone ever tells you it’s not researched tell them to stop watching TV and start reading again. It is well researched in the medical community and the NIH, Dr. Martin Levine at the NIH, the NCI (National Cancer Institute), and the FDA all co-sponsored several studies in 2005 through 2008 or 2009 and as a result they set the stage for clinical trials going on at the University of Kansas which are happening now. High dose vitamin C therapy is almost no longer alternative. There have even been instances where it was paid for by insurance companies, which is pretty amazing. And for long-term maintenance, it’s really, really important and helpful, whether or not you have cancer.